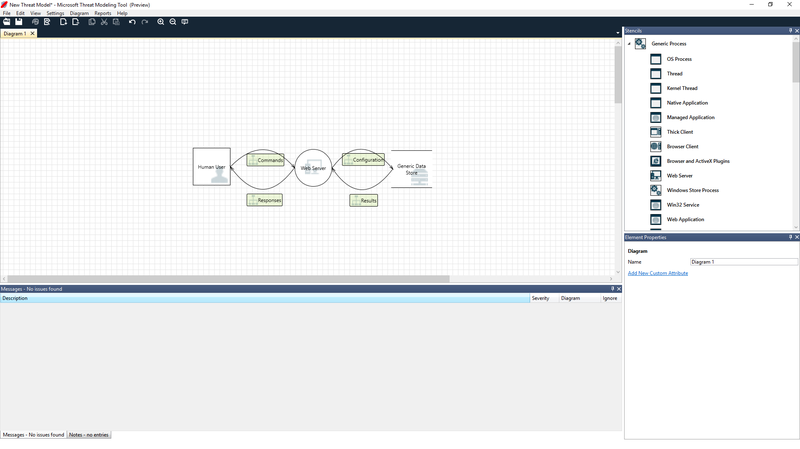 The Threat Modeling Tool can help you with your threat modeling needs. 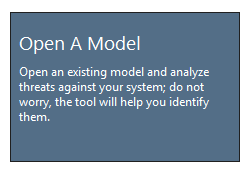 For a basic introduction to the tool, see Get started with the Threat Modeling Tool. 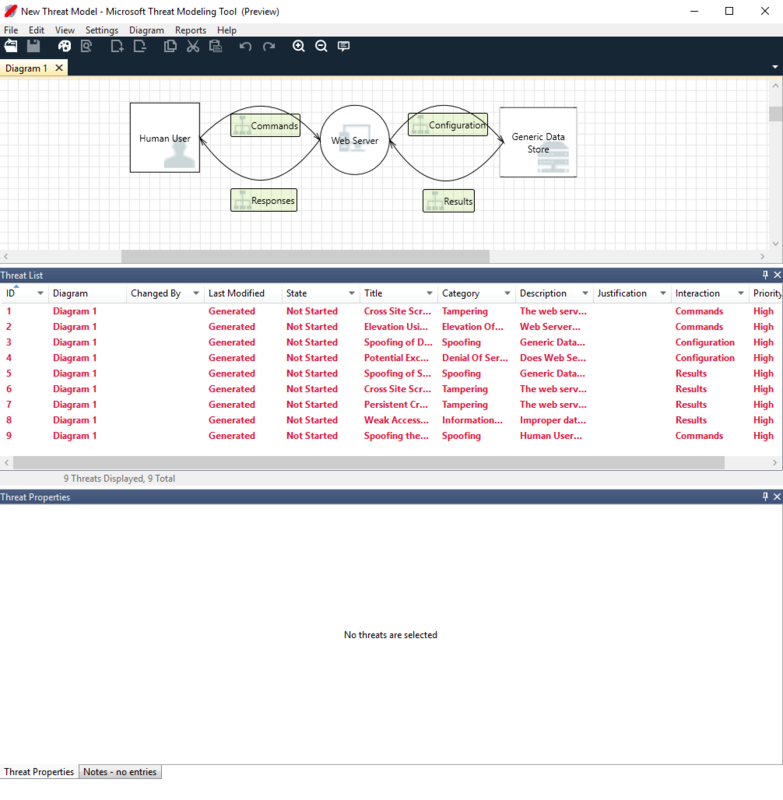 The Threat Modeling Tool is updated frequently, so check this guide often to see our latest features and improvements. To open a blank page, select Create A Model. To see the features currently available in the tool, use the threat model created by our team in the Get started example. Before we discuss the built-in features, let's review the main components found in the tool. The experience is similar to other Microsoft products. Let's review the top-level menu items. Sign in and sign out of OneDrive accounts. Share links (view and edit). Apply a new template to existing models. Edit Undo and redo actions, as well as copy, paste, and delete. 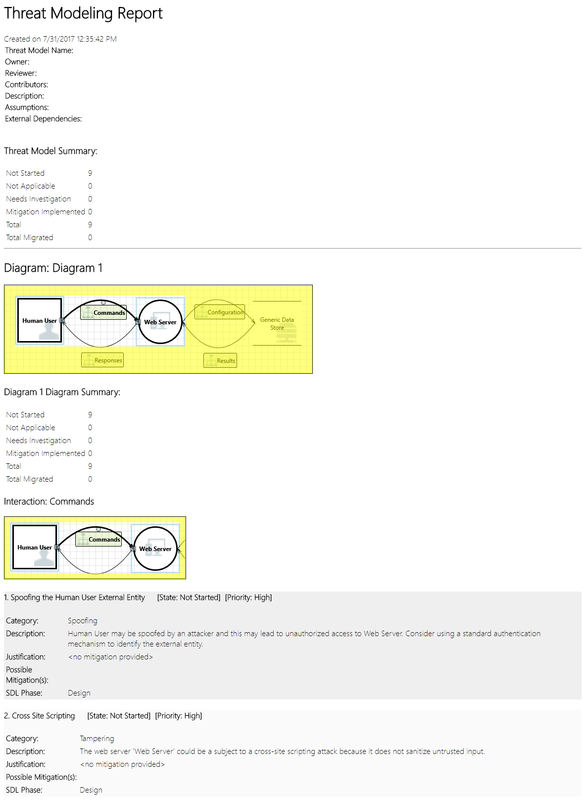 Switch between Analysis and Design views. Open closed windows (for example, stencils, element properties, and messages). Reset layout to default settings. Diagram Add and delete diagrams, and move through tabs of diagrams. Reports Create HTML reports to share with others. Help Find guides to help you use the tool. Open Opens a new file. Save Saves the current file. Design Opens the Design view, where you can create models. Analyze Shows generated threats and their properties. 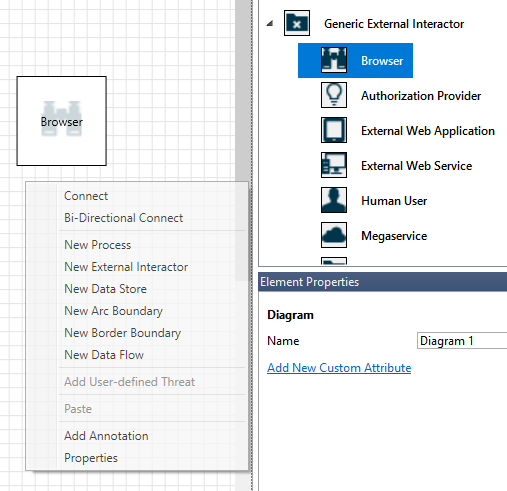 Add diagram Adds a new diagram (similar to new tabs in Excel). Delete diagram Deletes the current diagram. Copy/Cut/Paste Copies, cuts, and pastes elements. Undo/Redo Undoes and redoes actions. Zoom in/Zoom out Zooms in and out of the diagram for a better view. Feedback Opens the MSDN Forum. Messages Internal tool logic that alerts users whenever there's an error, such as no data flows between elements. Notes Manual notes are added to the file by engineering teams throughout the design and review process. Name Useful for naming your processes, stores, interactors, and flows so that they're easily recognized. Out of scope If selected, the element is taken out of the threat-generation matrix (not recommended). Reason for out of scope Justification field to let users know why out of scope was selected. Properties are changed under each element category. Select each element to inspect the available options. Or you can open the template to learn more. Let's review the features. When you open the app, you see the Welcome screen. 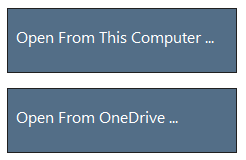 Hover over Open A Model to reveal two options: Open From This Computer and Open From OneDrive. The first option opens the File Open screen. The second option takes you through the sign-in process for OneDrive. After successful authentication, you can select folders and files. When you select Feedback, Suggestions and Issues, you go to the MSDN Forum for SDL Tools. You can read what other people are saying about the tool, including workarounds and new ideas. When you open or create a new model, the Design view opens. Drag and drop: Drag the desired element to the grid. 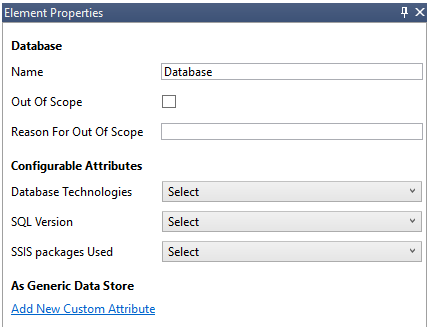 Then use the element properties to provide additional information. Right-click: Right-click anywhere on the grid, and select items from the drop-down menu. A generic representation of the element you select appears on the screen. Drag and drop: Drag the desired dataflow to the grid, and connect both ends to the appropriate elements. Click + Shift: Click the first element (sending data), press and hold the Shift key, and then select the second element (receiving data). Right-click, and select Connect. If you use a bi-directional data flow, the order is not as important. If you create a threat model and forget to connect data flows to elements, you get a notification. You can ignore the message, or you can follow the instructions to fix the issue. To add notes to your diagram, switch from the Messages tab to the Notes tab. After you build your diagram, select the Analysis symbol (the magnifying glass) on the shortcuts toolbar to switch to the Analysis view. The threat is marked as read, which helps you keep track of the items you reviewed. Interaction in the diagram that belongs to a threat is highlighted. Additional information about the threat appears in the Threat Properties window. You can change the priority level of each generated threat. Different colors make it easy to identify high-, medium-, and low-priority threats. As seen in the preceding image, you can change the information generated by the tool. You can also add information to certain fields, such as justification. These fields are generated by the template. If you need more information for each threat, you can make modifications. Send your questions, comments and concerns to tmtextsupport@microsoft.com. 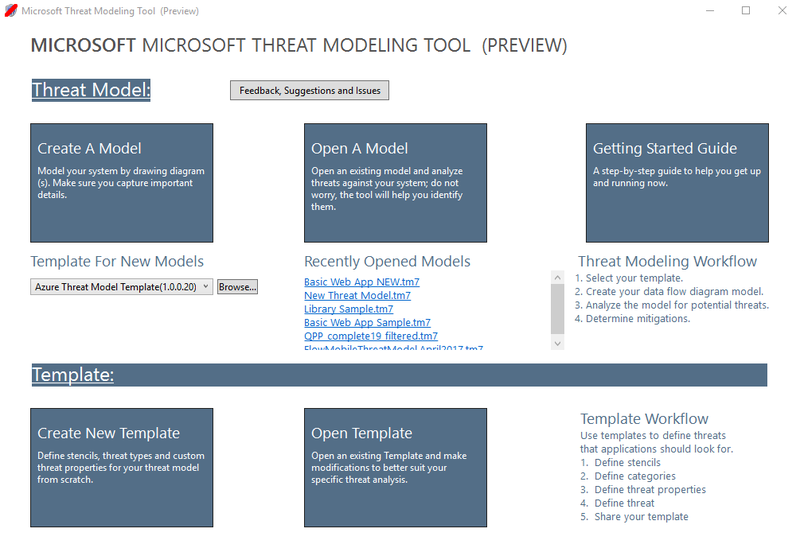 Download the Threat Modeling Tool to get started. To contribute a template for the community, go to our GitHub page.